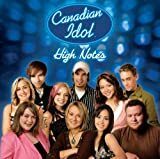 This is the Canadian version of the international hit "Idol" series, in which fans are responsible for choosing the singer who will were the title of "Canadian Idol". 157 6x01 Auditions in Toronto, Calgary, Edmonton |edit 2008-06-03 Discuss episode! 158 6x02 Auditions in Montreal, Vancouver, Winnipeg |edit 2008-06-09 Discuss episode! 159 6x03 Auditions in Hamilton, Ottawa, St. Johns, Halifax |edit 2008-06-10 Discuss episode! 160 6x04 Top 200 (Day 1 & 2) Initial solo performances and group performances |edit 2008-06-16 Discuss episode! 161 6x05 Top 200 (Day 3) Final solo performances; selection of Top 24 announced |edit 2008-06-17 Discuss episode! 162 6x06 Top 24 Group 1 |edit 2008-06-23 Discuss episode! 163 6x07 Top 24 Group 2 |edit 2008-06-24 Discuss episode! 164 6x08 Top 24 Results |edit 2008-06-25 Discuss episode! 165 6x09 Top 20 Group 1 |edit 2008-06-30 Discuss episode! 166 6x10 Top 20 Group 2 |edit 2008-07-01 Discuss episode! 167 6x11 Top 20 Results |edit 2008-07-02 Discuss episode! 168 6x12 Top 16 Group 1 |edit 2008-07-07 Discuss episode! 169 6x13 Top 16 Group 2 |edit 2008-07-08 Discuss episode! 170 6x14 Top 16 Results |edit 2008-07-09 Discuss episode! 171 6x15 Top 10 - The songs of David Bowie |edit 2008-07-14 Discuss episode! 172 6x16 Top 10 results |edit 2008-07-15 Discuss episode! 173 6x17 Top 9 - "Rock and Roll Heaven" |edit 2008-07-21 Discuss episode! 174 6x18 Top 9 Results |edit 2008-07-22 Discuss episode! 175 6x19 Top 8 - "Unplugged" |edit 2008-07-28 Discuss episode! 176 6x20 Top 8 Results |edit 2008-07-29 Discuss episode! 177 6x21 Top 7 - Top 10 UK hits |edit 2008-08-04 Discuss episode! 178 6x22 Top 7 Results |edit 2008-08-05 Discuss episode! 179 6x23 Top 6 - Canadian Rock |edit 2008-08-11 Discuss episode! 180 6x24 Top 6 Results |edit 2008-08-12 Discuss episode! 181 6x25 Top 5 - The music of The Beatles |edit 2008-08-18 Discuss episode! 182 6x26 Top 5 Results |edit 2008-08-19 Discuss episode! 183 6x27 Top 4 - The songs of Anne Murray |edit 2008-08-25 Discuss episode! 184 6x28 Top 4 Results |edit 2008-08-26 Discuss episode! 185 6x29 Top 3 - The songs of Bryan Adams |edit 2008-09-01 Discuss episode! 186 6x30 Top 3 Results |edit 2008-09-02 Discuss episode! 187 6x31 Top 2 - Season Finale |edit 2008-09-08 Discuss episode! 188 6x32 Finale |edit 2008-09-10 Discuss episode!